UPDATE: As you may have heard, the concert was rescheduled to November 21, Protected content to frontman Josh Kiszka’s upper respiratory infection. For those who have tickets, they are valid for the new date. I'm currently assuming that the venue has not changed. Do you like Led Zeppelin? Do you like 70ies rock? Then you will like Greta Van Fleet. When I heard them for the first time, I thought it was a rediscovered Led Zeppelin song. 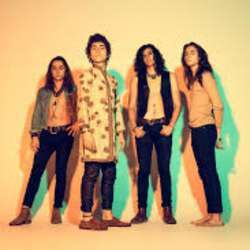 There is a lot of hype about Greta Van Fleet, but hopefully it won't stop them continuing their musical journey. Unfortunately, tickets are sold out, but if you have tickets already or can get them otherwise, this is a great time to experience an emerging band.